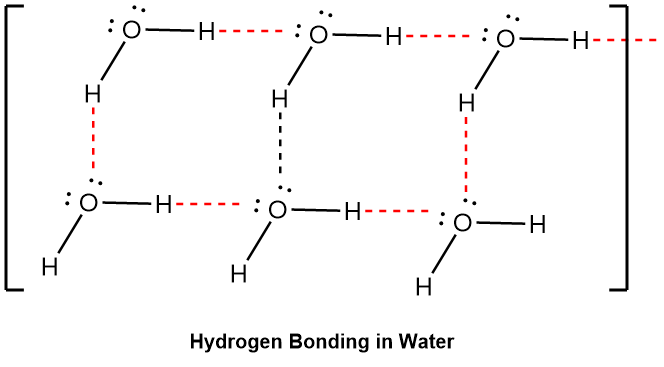 Hydrogen bonding is a special type of dipole-dipole interaction/electrostatic force that occurs between polarized molecules. In this case, the interaction takes place between an atom with a partial negative charge and a hydrogen atom that has a partial positive charge. The electromagnetic attraction that takes place between polar molecules. It is exhibited by molecules with hydrogen atoms bonded to electronegative atoms such as O, N, and F (and to a much lesser extent Cl and S). The hydrogen bond is an unusually strong intermolecular interaction mainly because of the large bond dipoles and short dipole-dipole distances. The process does not require that sharing of electrons, but rather is an attraction between positive and negative poles. 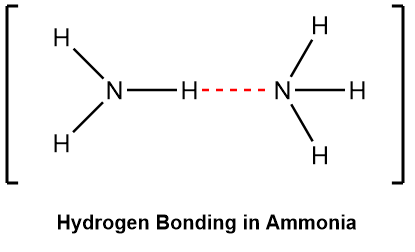 We indicate the hydrogen bond using a dotted line between the hydrogen atom attached to O, N, or F (also called the hydrogen bond donor) and the atom that has a lone pair of electrons (also called hydrogen bond acceptor).